Yichen Li graduated from the University of Calgary with the Bachelor of Science in Oil and Gas Engineering. He passed CFA Level 1 exam in December 2017. Yichen currently works as the sales and marketing manager at Vast Sky Inc. 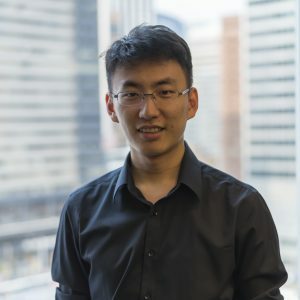 He is also the membership director assistant at Chinese Canadian Petroleum Society. Yichen is actively participating in and organizing events of Canada China Commercial Association and Chinese Canadian Petroleum Society. He tries to contribute to the development of local business.